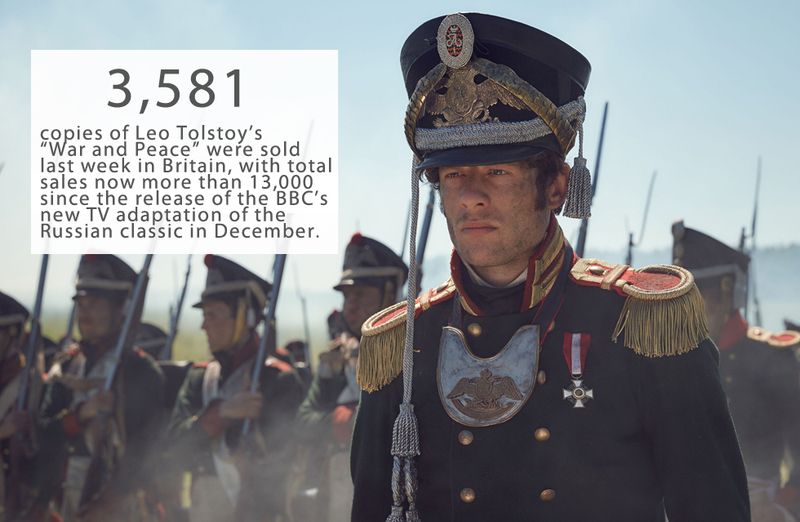 Number of the week: What were the UK sales for ‘War & Peace’ last week? 3,581 copies of Leo Tolstoy’s “War and Peace” were sold last week in Britain, with total sales now more than 13,000 since the release of the BBC’s new TV adaptation of the Russian classic in December, reports The Guardian. The surge in sales means the novel enters the UK’s top 50 bestsellers chart for the first time. The book, which was first published in English 130 years ago, is is one of the longest novels ever written (1,400 pages).